If you need to order parts or schedule an appointment for service, please call 216-398-6120 to confirm pricing and availability. We are able to supply parts and warranty repair services for Associated Equipment Battery Chargers. If you need to order parts or schedule an appointment for service, please call 216-398-6120. If you need to order parts or schedule an appointment for service, please call 216-398-6120. We are able to supply parts and warranty repair services for Bosch Skill Power Tools. If you need to order parts or schedule an appointment for service, please call 216-398-6120. 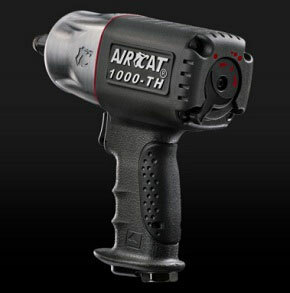 We are able to supply parts and warranty repair services for Duo-fast nail guns. If you need to order parts or schedule an appointment for service, please call 216-398-6120. We are able to supply parts and warranty repair services for Hitachi. If you need to order parts or schedule an appointment for service, please call 216-398-6120. We are able to supply parts and warranty repair services for Mighty Seven (M7). If you need to order parts or schedule an appointment for service, please call 216-398-6120. We are able to supply parts and warranty repair services for Rigid Power Tools. If you need to order parts or schedule an appointment for service, please call 216-398-6120. We are able to supply parts and warranty repair services for Ryobi Power Tools. If you need to order parts or schedule an appointment for service, please call 216-398-6120. We are able to supply parts and warranty repair services for Senco. If you need to order parts or schedule an appointment for service, please call 216-398-6120. We are able to supply parts and warranty repair services for Silicon Solar Battery Chargers. If you need to order parts or schedule an appointment for service, please call 216-398-6120.